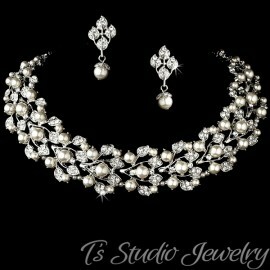 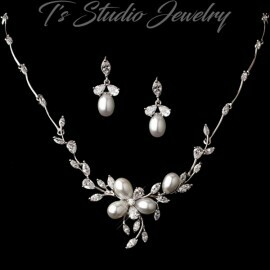 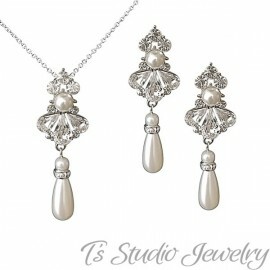 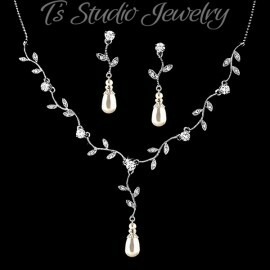 This necklace and earrings set is gorgeous. 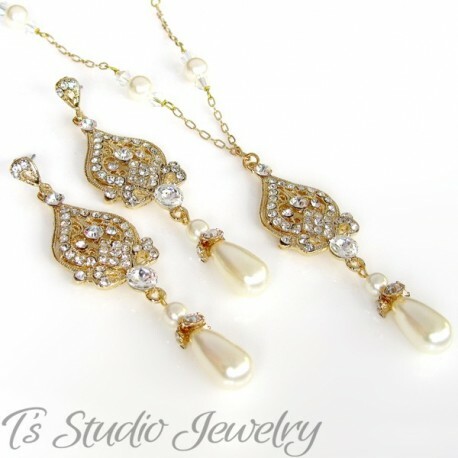 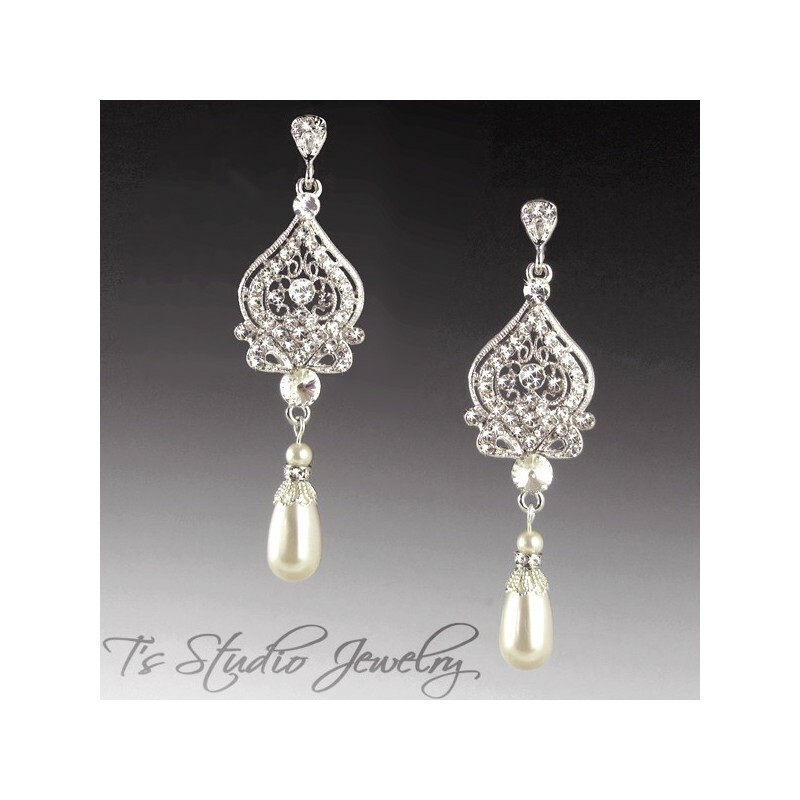 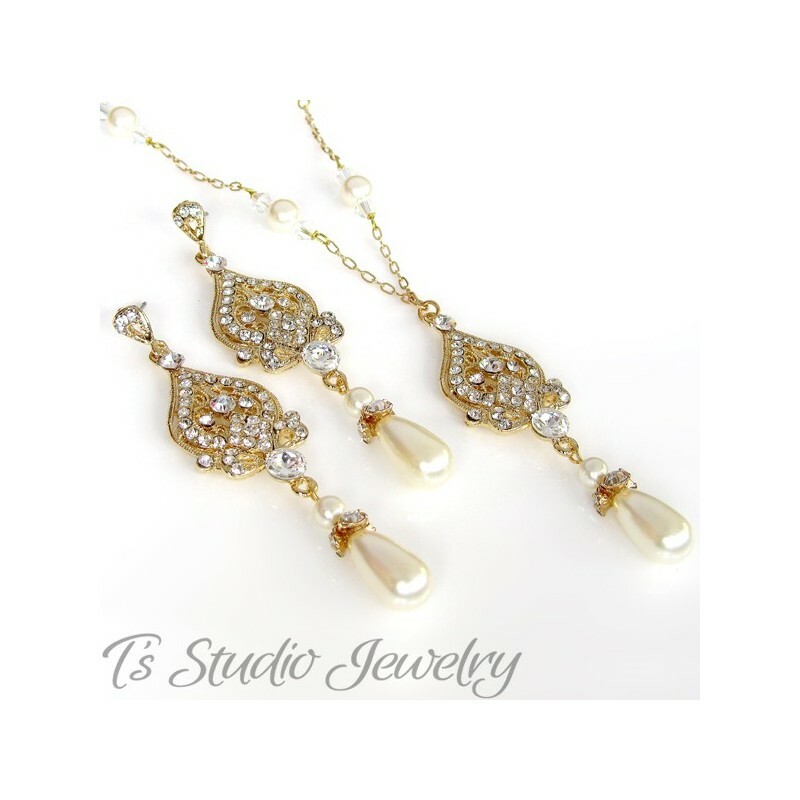 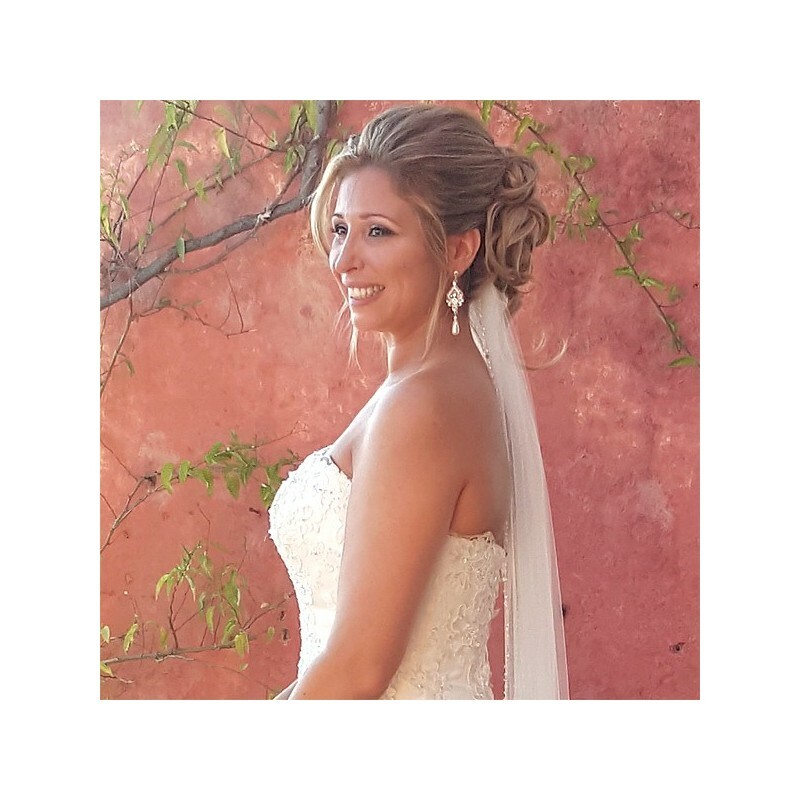 Made with a combination of Swarovski pearls, crystals and textured chain in gold or silver, with a center drop of clear crystal rhinestones set in a silver or gold metal base, with a teardrop pearl. 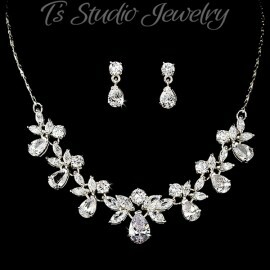 Necklace is adjustable from 16"-18".